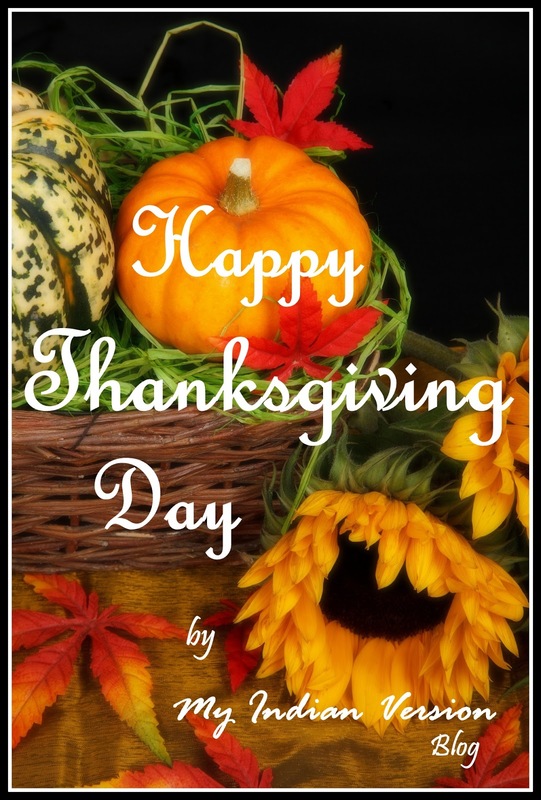 Hello all, Thanksgiving day is just few days away and EVERYONE is excited about it. Everyone is busy in making special decor for this Thanksgiving, learning traditional recipes, buying gifts and wrapping them. So much to do! And by any means you are struggling to get some easy but awesome ideas for this Thanksgiving you are at right place. 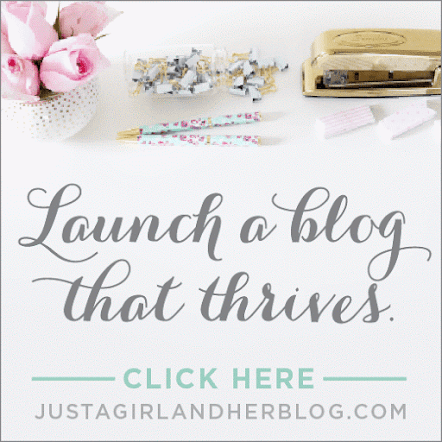 Please note that below links are not affiliated links. I found them great and so are they included in this Top 15 list. I think in every festival (irrespective of country) Garlands have a special place in house. And we like it different every time. Right? So I'm giving two different patterns to choose from. First one is unique and cute from Frugal Mom eh! Find the tutorial here. Second is colorful and welcoming from Tell Love and Party. Find the tutorial here. 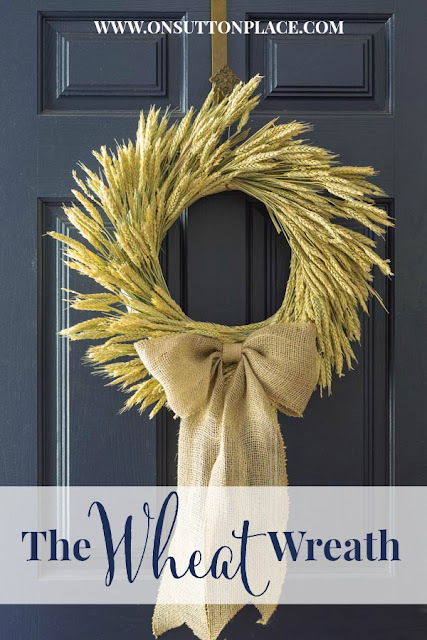 This is great welcoming board at your doorway or may in the front lawn. 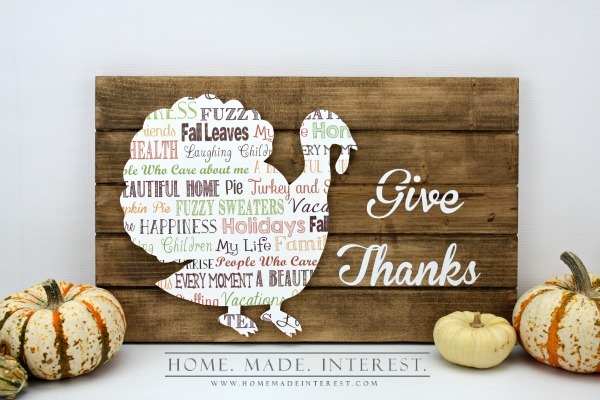 You can use any other sign than turkey, that you think represents Thanksgiving Day. This is shared by Home Made Interest with quick and simple tutorial. Find the tutorial here. A customized/ personalized printed paper bags. And Pizzazzerie has explained it well why it is called a Leftover Bag. This idea is one of my favorites. Find the tutorial here. Ok, if you are really busy to do all those drawing and painting here is the best alternative for it. 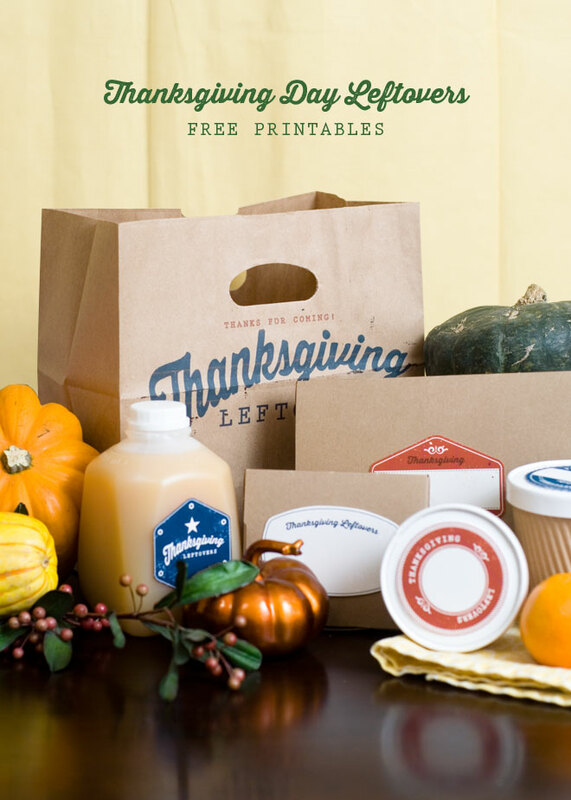 A free chalkboard style Thanksgiving wishes printable. Print it and frame it, that's it! This smart step is from A Simple Pantry. Find the tutorial here. 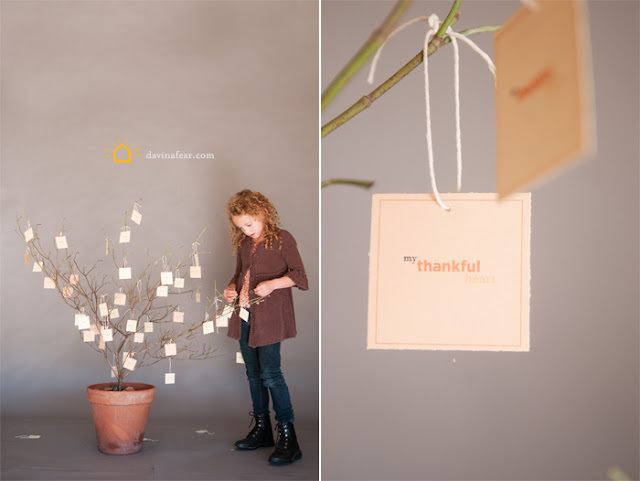 A framed Thanksgiving tree. 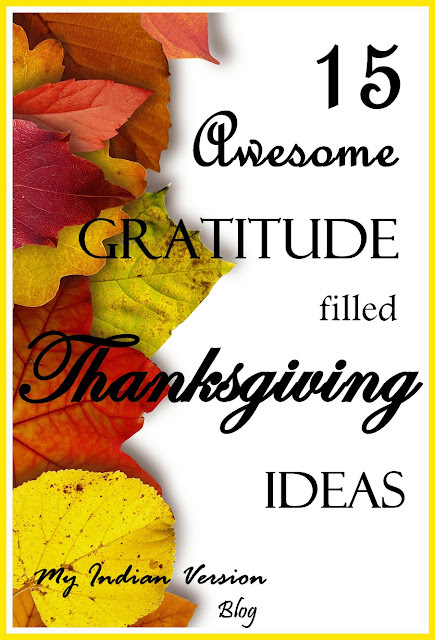 Isn't it a good idea to save your thanksgiving gratitude filled words this way. This one is from Craftionary. 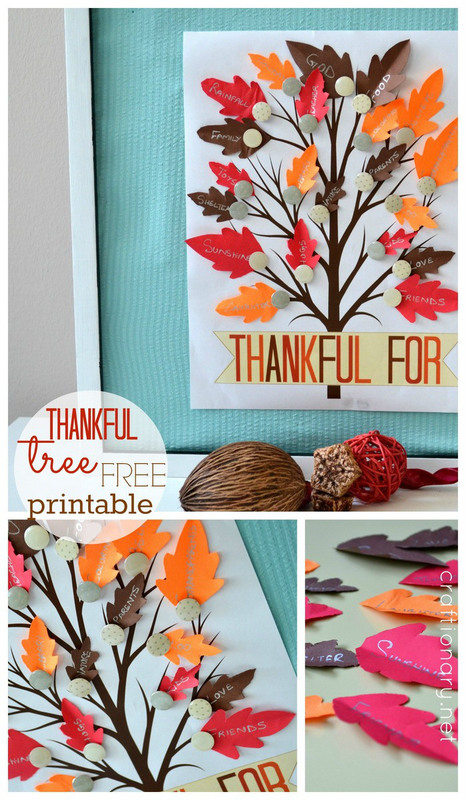 She has also provided printable template to make those lovely fall leaves. Find the tutorial here. String Art are really interesting which can give an artistic look to your decoration. 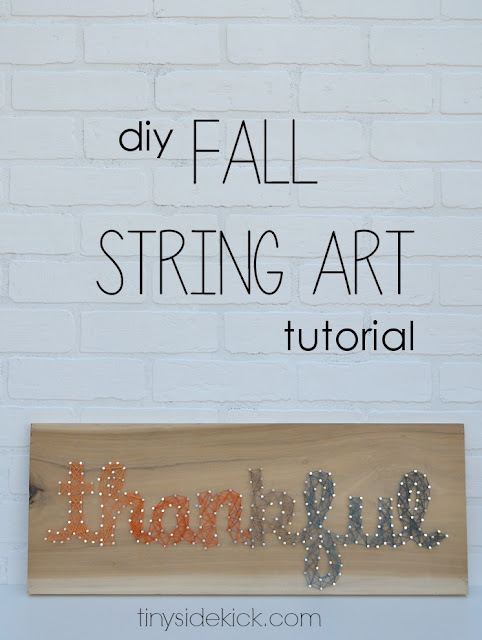 Make a string art for this Thanksgiving day and get praising from family and friends. This wonderful idea is shared by Hey There, Home. Find the tutorial here. If you have kids then you must be needing all sorts of activities to keep them engaged. 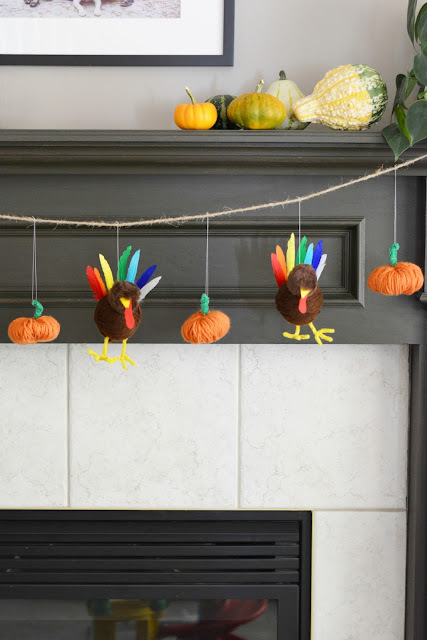 So why not to involve them in decorating house for Thanksgiving. 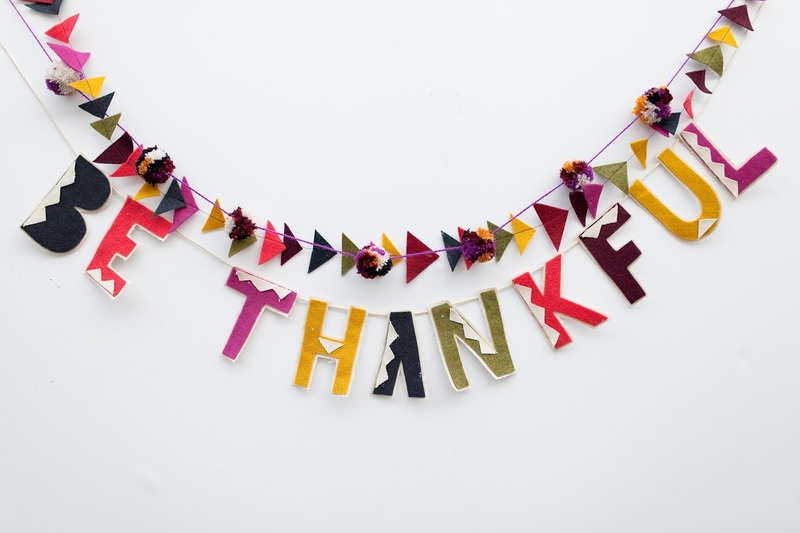 Mothers from Pikadilly Charm shared a fun Thanksgiving activity for kids. Find the tutorial here. Now this is awesome way to actually feel the festival. 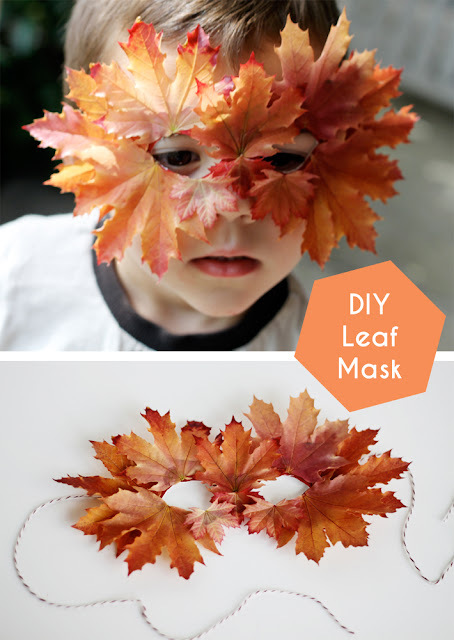 This autumn leaves mask from Small Friendly is so adorable and it actually a natural way to celebrate!! Find the tutorial here. A thanksgiving tree is a great idea to involve everyone in house. And at the end of the day when you read beautiful messages on them yor heart is filled with happiness and gratitude. Again two ideas to choose from. 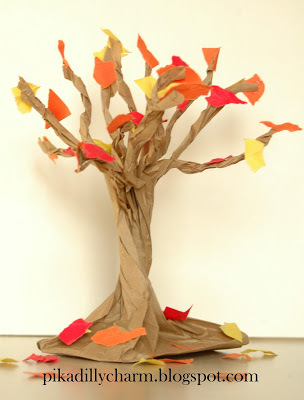 First Thanksgiving tree is from Rhythms of Play. Find the tutorial here. Second one is from A Year at Yellow House. This is my second favorite from the lot. Find the tutorial here. An alternative to Thanksgiving tree is a simple piece of paper beside table placemats. 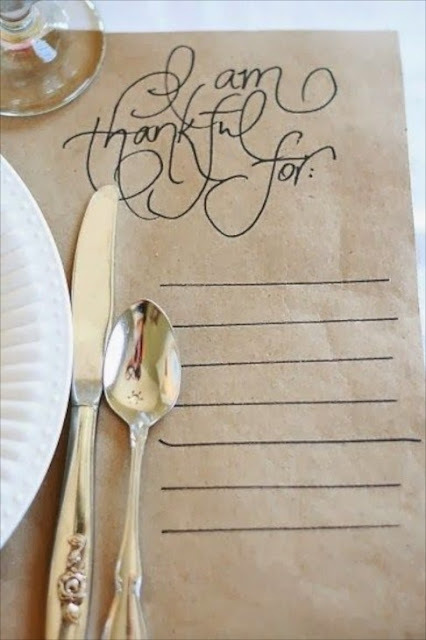 Draw some lines onto the paper palcemt and they are ready to be filled with the gratitude words. This easy, simple idea is shared by Abby Manchesky Interiors. Find the tutorial here (See Tip #7). 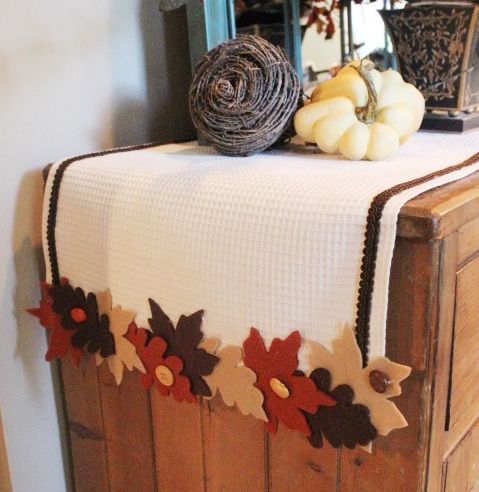 If you are not into sewing and want to make a appealing table runner, this is the idea. Place it on the dining table or any other table, this is sure a easy on eye decor piece. The Everyday Home blog has shared this idea specially for non-sewers ;) Find the tutorial here. There is nothing like fresh flowers inside the house. But keeping them in vase is so usual we need something unusual right. 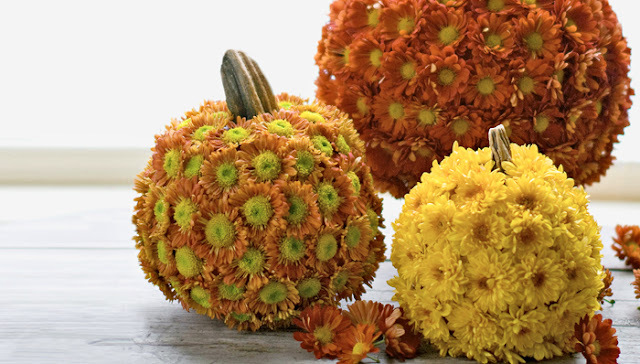 Then try this, fresh flower displayed using a pumpkin! 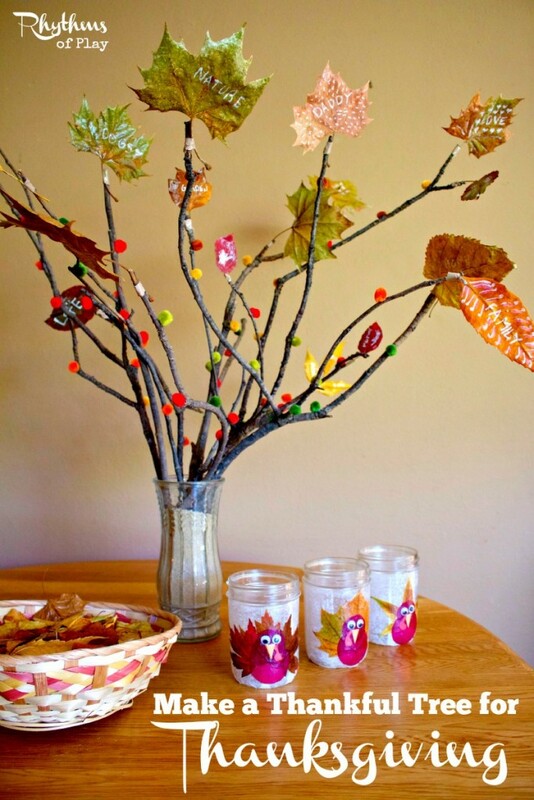 Really cool idea for centerpiece. 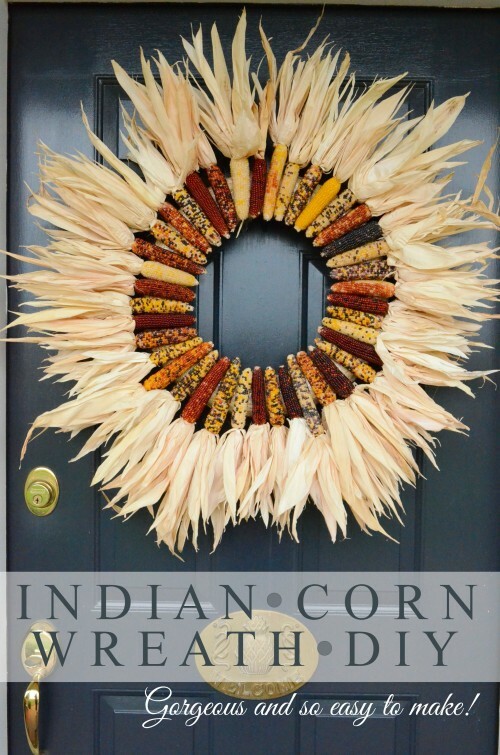 Lowes blog has shared this idea with us. Find the tutorial here. Why to keep those cute little pillows out of Thanksgiving makeover. 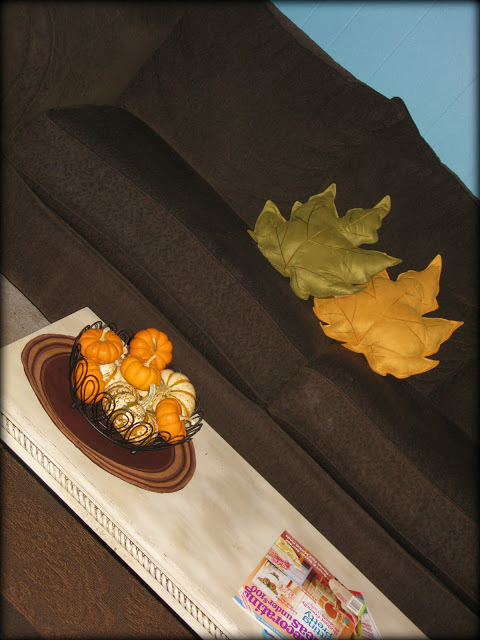 Tattered and Inked blog shared a clever idea to make leaf pillows without any fuss. I totally loved them. Make many of them and just get cozy! Find the tutorial here. Wreath, yet another tradition that follows from generation to generation ;) And I think these two wreaths fully justify the Thanksgiving day meaning. Take a look at them. First simple wreath is from On Sutton Place. Find the tutorial here. Second one is from Stone Gabble blog. Find the tutorial here. Now this is what I call simple creativity. 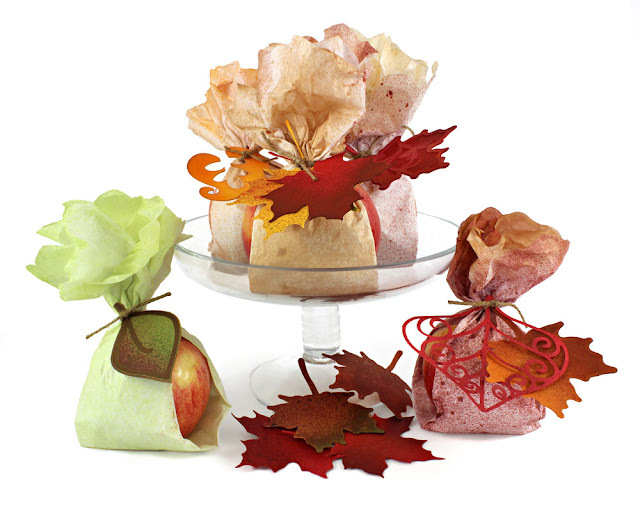 A easy way of gift wrapping the favors. There is no tutorial here but you can use this as an inspiration. And make your own version. 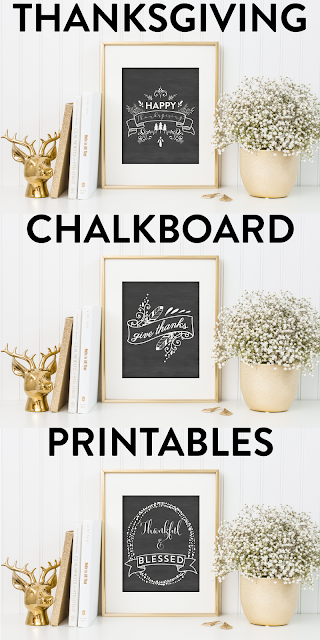 This idea is shared by Pazzles Craft Room. Find the inspiration here. Now we are rapidly moving towards the end of year 2015. And we all are curious about what 2016 will bring to our lives. 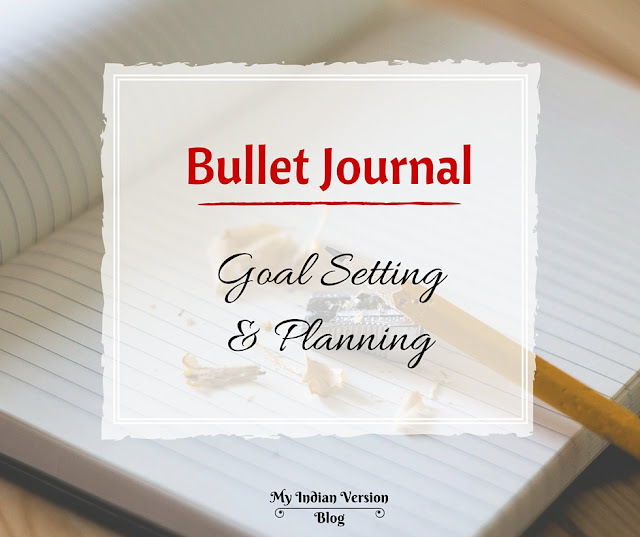 From my side I'll be presenting you some really great PLANNING and ORGANIZING Printable..for FREE of course!! 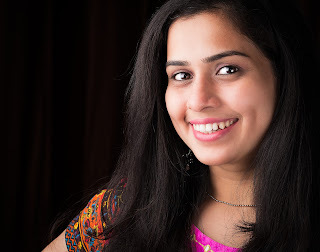 SO make sure you follow me on Pinterest and Google+ to get regular updates.